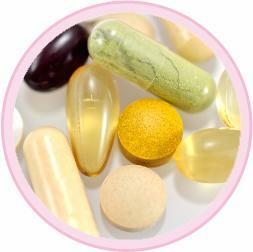 I love supplements and they form an integral part of my clinical practice. When used correctly, they can have incredibly positive effects on our health and wellbeing. With so many supplements available on the market, it can be hard to know which one to choose. Supplements vary hugely in terms of their quality and in most cases, supermarket and high street chemist brands are cheap for a reason!! Great for: Vitamin D, Vitamin B12, Magnesium and Turmeric. This company ticks all of the boxes for me. BetterYou provide high quality nutrients in well absorbed forms at effective doses. As a bonus, none of their supplements require swallowing tablets so their products are great if you're not a fan of popping pills. Great for: Multivitamin and minerals. I like Nutri's complexes. They provide a range of high quality multivitamin complexes tailored for the different needs of women, pregnant women and men. I also like their ‘Advanced Superfoods' powder which is great added to smoothies or mixed with water as an alternative to squash. Without expert guidance, one of the easiest ways to find the right probiotic for you is to choose one from OptiBac. OptiBac have created a variety of probiotic supplements formulated for different requirements. Their range include probiotics for bloating, for use whilst travelling, for those who have taken antibiotics, for immune system support… and many more. OptiBac use probiotic species and strains which have been scientifically researched for their intended use. Omega 3 fish oils are one of the most popular supplements, and rightly so as this essential fat is commonly lacking in our diet. Fish oils are one supplement to take extra care with as it's important to guarantee purity. Bare Biology fish oils are high strength and are independently tested for purity by IFOS. They provide a range of fish oils including products specially formulated for pregnant women and children. As well as nutritional supplements I regularly recommend certain herbal supplements too. Milk thistle for supporting liver health, passiflora for calming, St John's Wort for lifting mood and echinacea for immune system support all feature regularly in my clinical recommendations. The majority of A.Vogel herbs are grown using strict organic methods, mainly in the fertile conditions of Roggwil, Swizerland. You can purchase all of these brands from The Natural Dispensary. If you feel that you could benefit from taking supplements tailored to your needs, please do get in touch and we'd be happy to schedule a consultation for you.